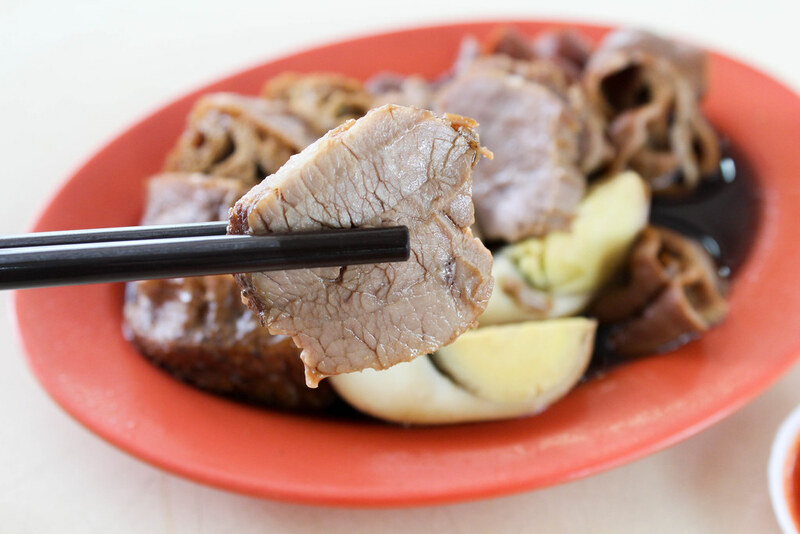 Kway Chap is a classic and an all-time favourite food of most Singaporeans, that looks simple but requires a lot of effort in preparation. From tedious work in cleaning the innards to the long braising hours, some stalls start work as early as 12am. After researching some of the places that were highly recommended, here’s a list of the places with some that were good and some that were extraordinary. 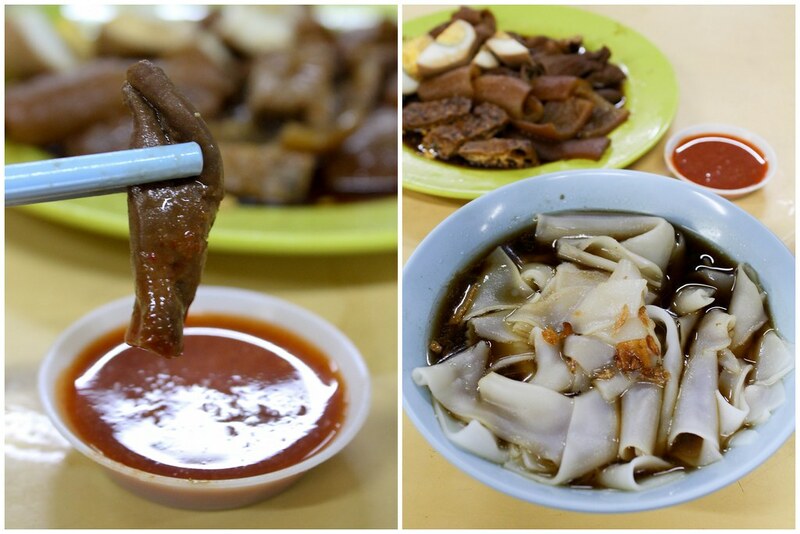 When eating kway chap, it was a must to have the innards. But for them to taste good, without stench, it takes a whole lot of skills to clean them well. 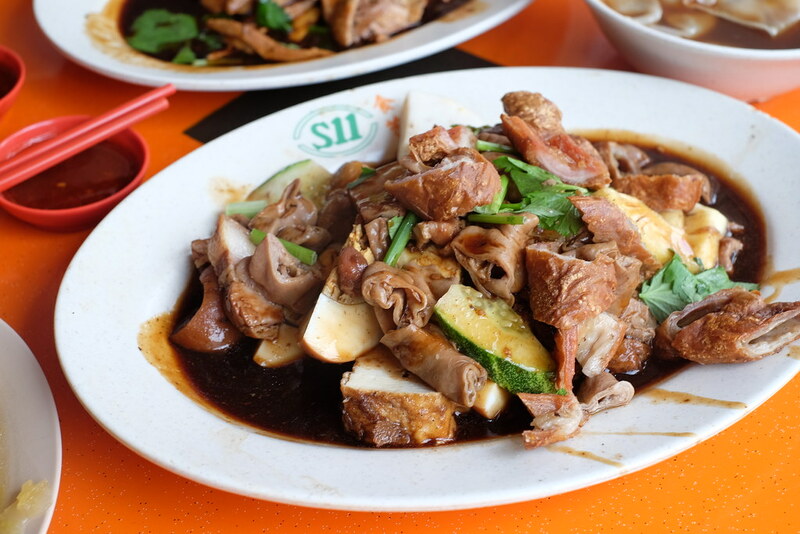 The boss at Lao San Kway Chap uses different spices and ingredients to simmer the “lor” for over 2 hours. He then cleans the intestines, and adds them into the pot to be braised. 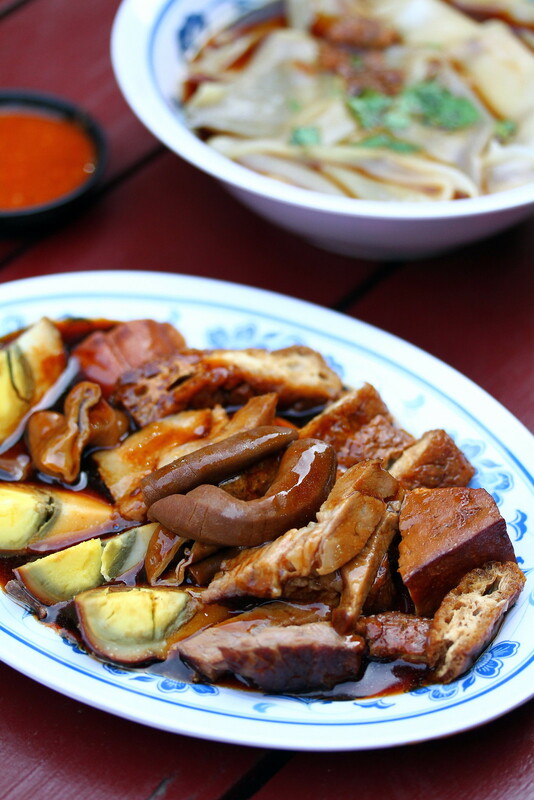 Other than innards, there were also pig stomach, braised eggs, tao pok and beancurd. The braise sauce was so fragrant that you could smell it from a distance. Topped with fried shallots, the kway was also really smooth and soft. 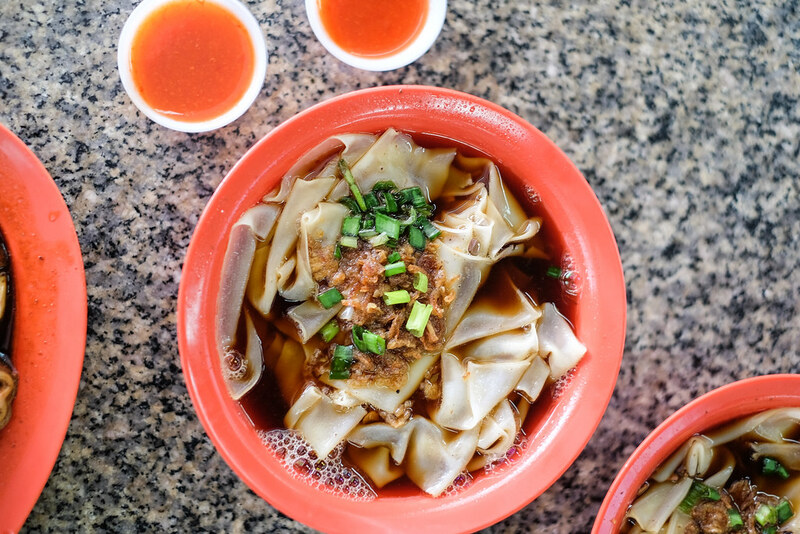 The homemade chilli sauce also enhances the kway chap, making it even tastier to eat. The gravy & soup from Kway Chap were loaded with robust herbal flavours. Their braising sauce was solid pom pi pi. Not extremely thick and sticky, but good enough to coat the meat and offals well. I ordered a one person version which has pork belly, beancurd, pig’s skin, pig’s intestine and more. It went well with the soup kway and vinegar garlic chilli sauce. 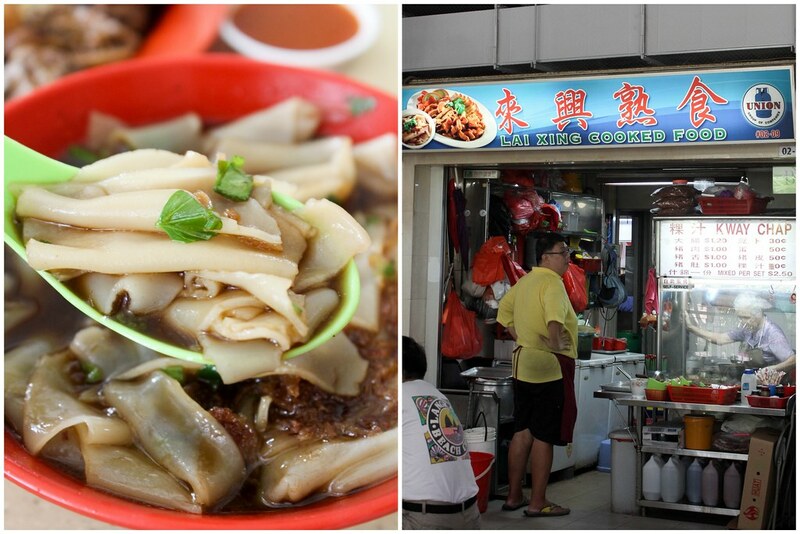 A simple looking kway chap stall, known as Lai Xing Cooked Food, was located at Hougang 105 Hainanese Village. What impressed me was seeing an elderly lady, probably in her 80s, busy chopping up the ingredients behind the counter. 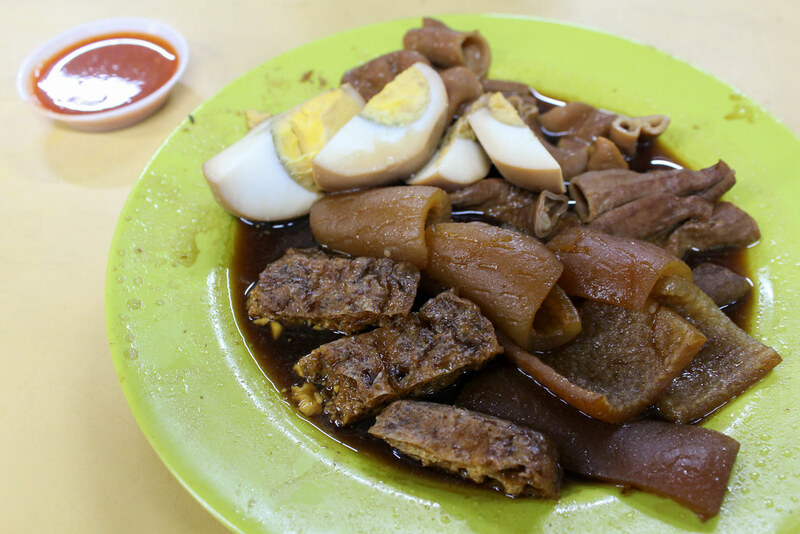 The mixed set of Kway Chap ($2.50) consisted of kway, eggs, fish cakes, tau pok, and innards. 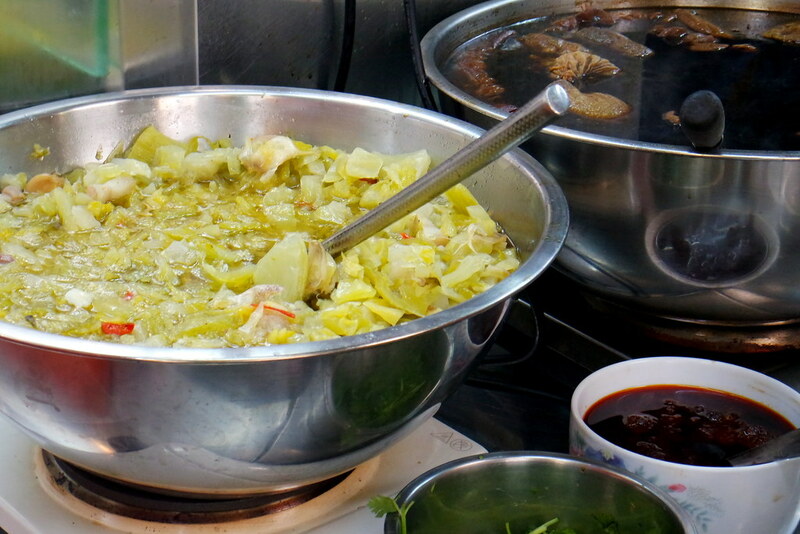 The kway was served in a light herbal soup with fried shallots which enhanced the flavours. The braised sauce was just right, not too salty. However, the braised tau pok was slightly too dry and tough. The tangy chilli sauce complemented the braised innards. 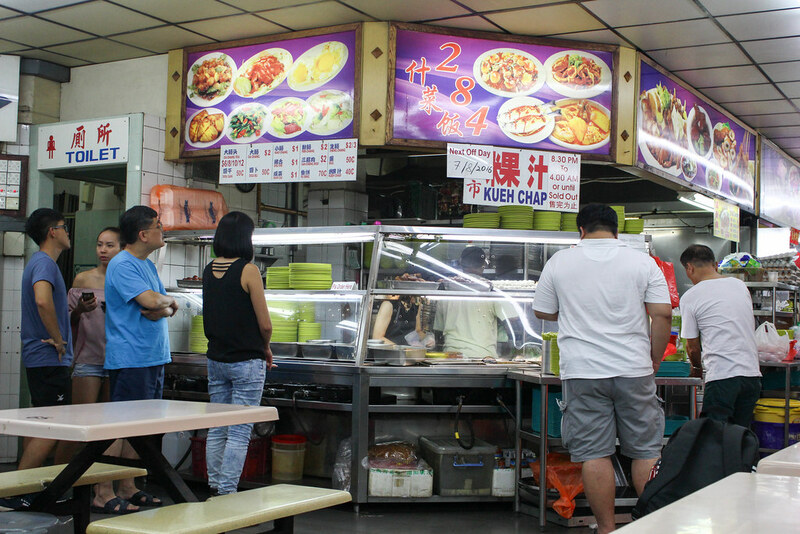 Unlike most kway chap stalls that opens in the morning and closes in the afternoon, Bishan 284 Kway Chap is a supper place for many. Opened at 8.30pm, the stall quickly drew a long line of people. This portion costs $7.90. The kway was soft and smooth, but was disappointed as the soup was bland. 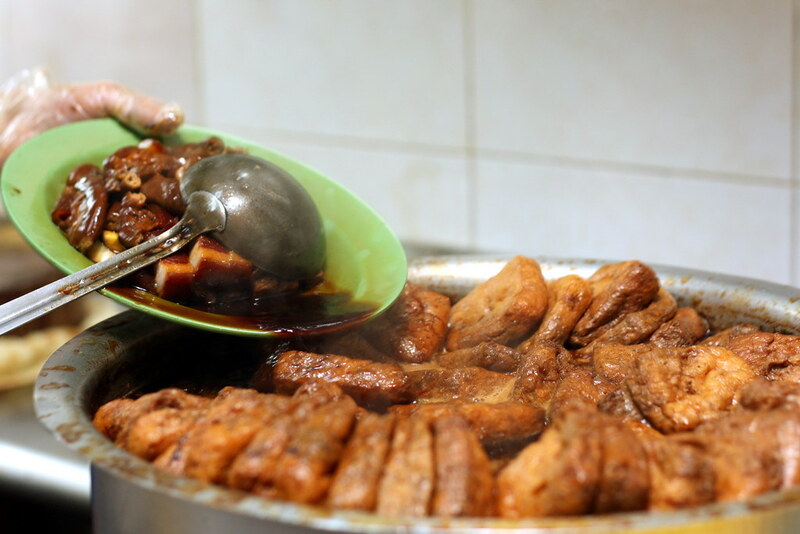 The pork meat was tender and thoroughly braised with dark sauce. The innards were clean and did not have taste of bitter grime. The salted preserved vegetables brought a crunchy touch to this dish. Nonetheless, I felt that it was average as a whole, and not worth the 45 minutes wait. 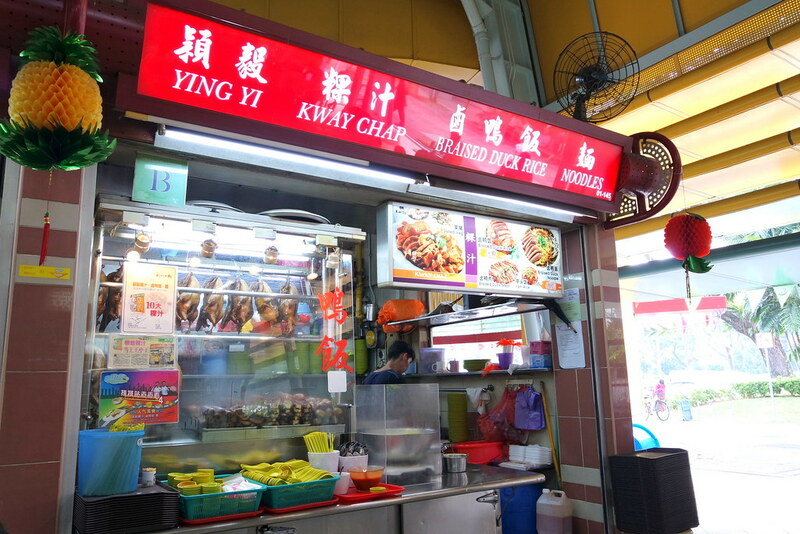 A stall with a really straight-forward name Kway Chap, stands within the hawker at Toa Payoh Lorong 4. Standing before the stall was a long queue, which took 45 minutes before it was my turn. The one pax mixed kway chap portion costs $2.50 and was slightly on the smaller side. The kway was smooth, while the soup was just slightly savoury. The pig entrails were soft and thoroughly braised, and the pig skin was chewy but not tough. Yet, the braised sauce was on the average and nothing to “wow” about. Opening Hours: 5.30pm to 11pm. Closed on Mon & Thurs. 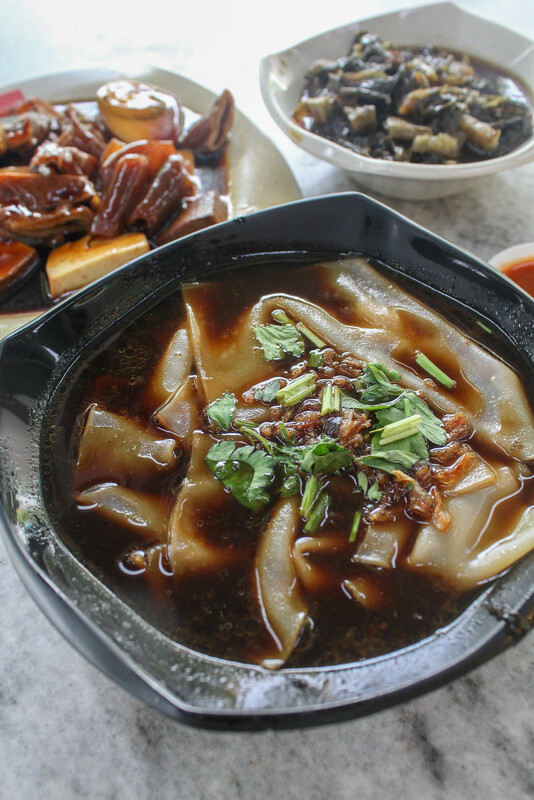 Located in Sengkang’s Kopitiam Square, the kway chap was drizzled with very dark and thick sauce, yet the sauce was not too salty. 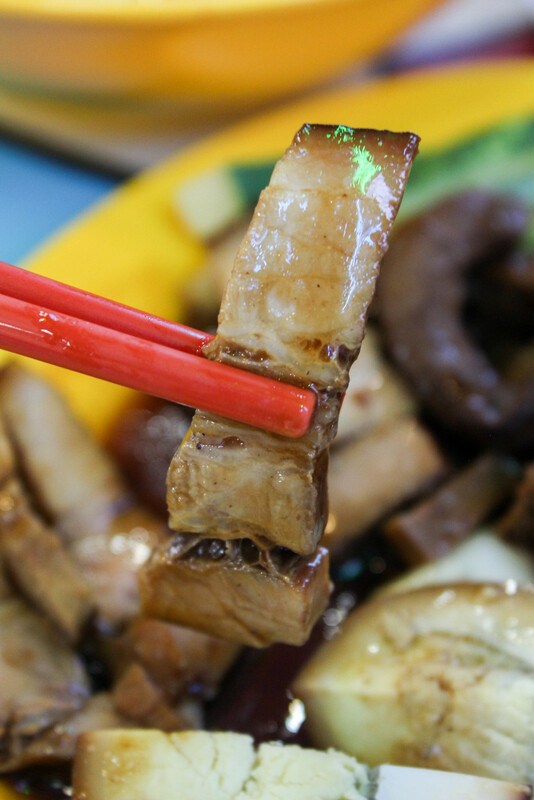 Although lacked in fragrance, the meat and the intestines were braised thoroughly. The kway was served in a darker colored soup, but it did not have the herbal taste at all. The preserved vegetables were missing in the flavors of garlic and tasted rather bland. 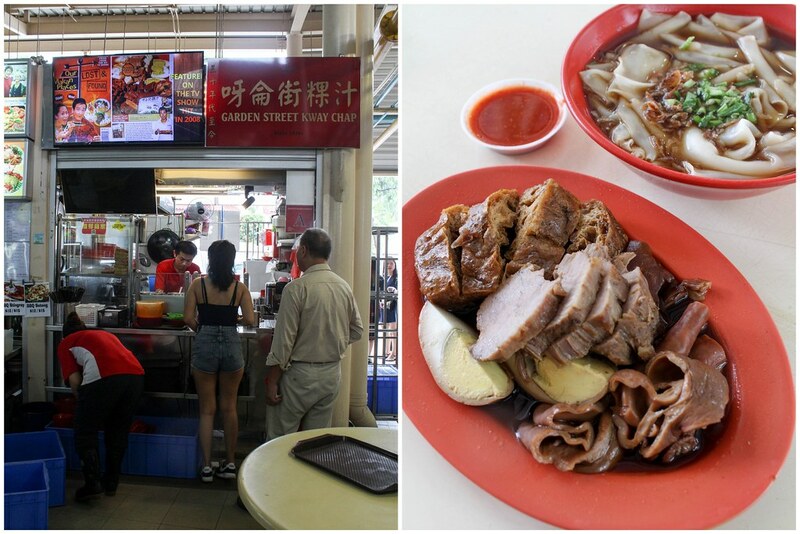 Garden Street Kway Chap is a gem in Serangoon Garden Market. The kway was soft and delicate, served in a bowl of savoury brown soup. The braising sauce was fairly good, with the innards not being too chewy nor the tau pok being too dry. What really caught my attention was the meat, as it was not the usual fatty meat. The lean meat brought about my suspicion as I thought it might be dry. Garden Street Kway Chap has proven me wrong, and the meat was in fact very tender and well braised. Opening Hours: 8am-3pm. Closed Mon. 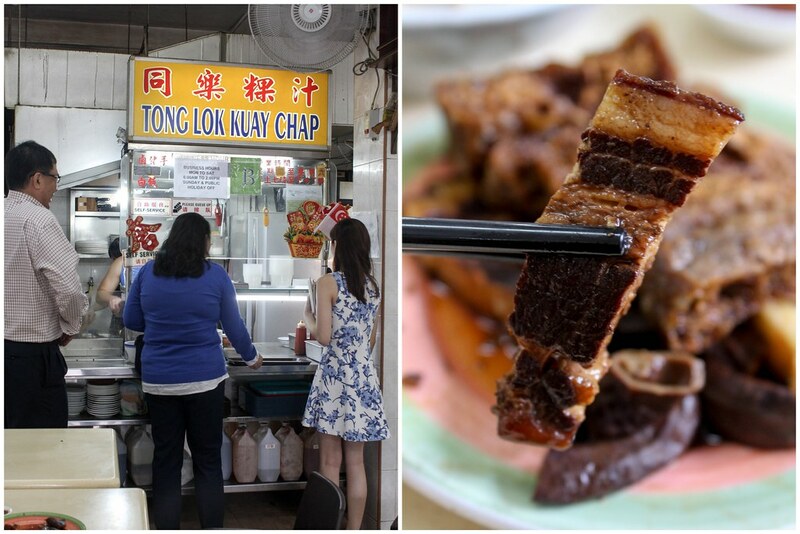 Tucked in another corner, away from Pasir Panjang Hawker Centre, Tong Lok Kway Chap is a humble looking stall. The food was surprisingly served in ceramic bowls and plates, instead of the plastic ones that we often see. Having a spoonful of kway, this was the first time I had kway that was springy. The soup was on the peppery side too. On the other hand, the kway chap was a tad too salty for my liking and the innards were too dry. Nonetheless, the braised meat was very tender. The star of this whole meal would have been the chilli, which was appetizing and the spiciness really goes way down to my throat. Opening Hours: Weekdays 7am-3pm. Closed on Weekends. 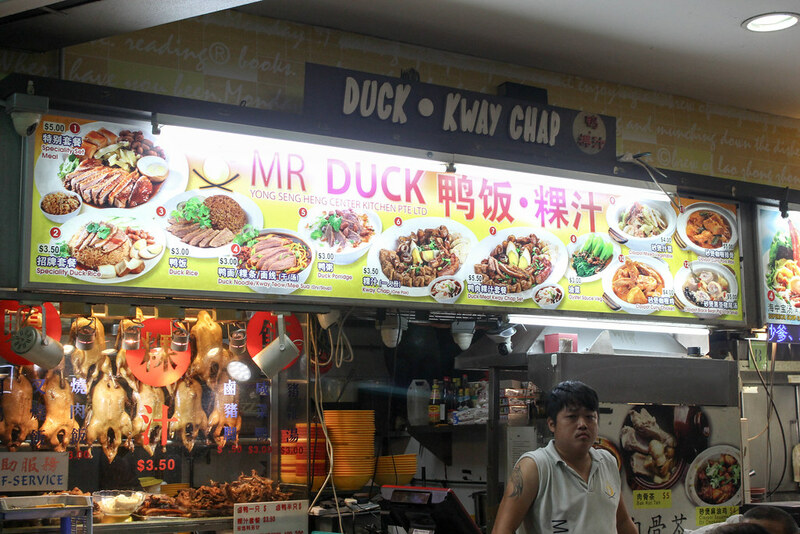 Served in peppery herbal soup, the kway from Mr Duck was silky smooth and soft. 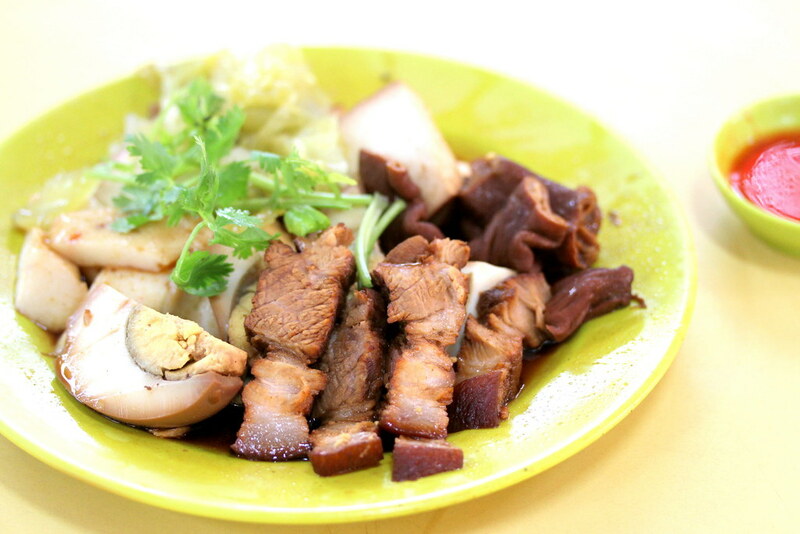 The braised meat were thinly sliced and were succulent, while the tau pok was quite dry. The braised sauce was quite salty too, and lacked in the flavours of the spices. The chilli sauce was tangy and spicy, and complemented the kway chap. We wanted to eat crab wanton mee for lunch but it’s not opened today, so we settled for Quan Lai (泉来粿汁) in the same coffeeshop. With no expectations, what came was a nice surprise. Their intestines are deep fried to get a crackling skin and it’s so good with the chilli sauce. They also added pineapples to bring a citrusy flavour to the braising sauce. The duck are thinly sliced and not too gamey, but I find the kway a little too thick. 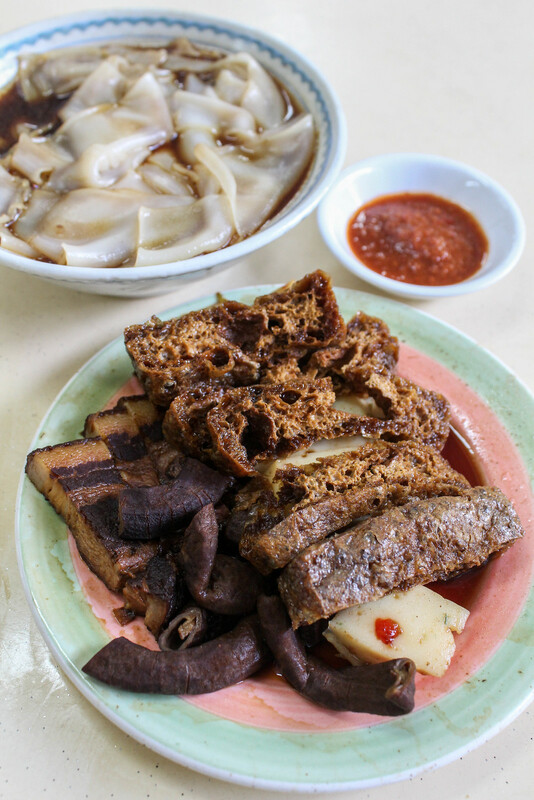 For $3.50 a portion, you get big intestines, small intestines, fish cake, pig’s skin, braised egg and pig’s stomach. This was a lot more than what many stalls give nowadays given the amount work needed to prepare all these ingredients to make sure that they were clean and do not taste gamey. What was important to me was that the organs had to be well braised, clean, fresh and soft to the bite, which in this case, it was! 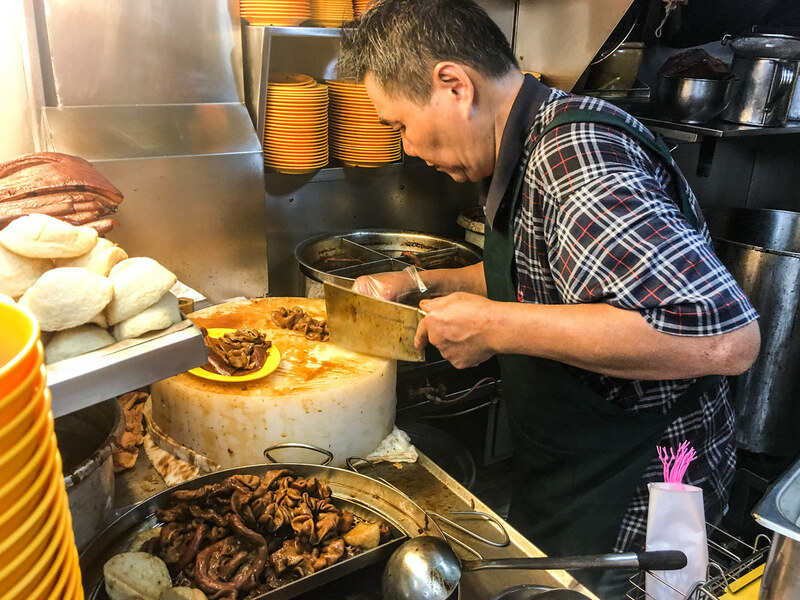 The braising sauce at this kway chap stall was nothing spectecular but it was a delicious bowl of kway chap where the efforts of the owner could be seen in the preparation of the individual ingredients to make it come together harmoniously. What was worthy of mention was that the kway did not become mushy even after I took forever to take photos of the food. 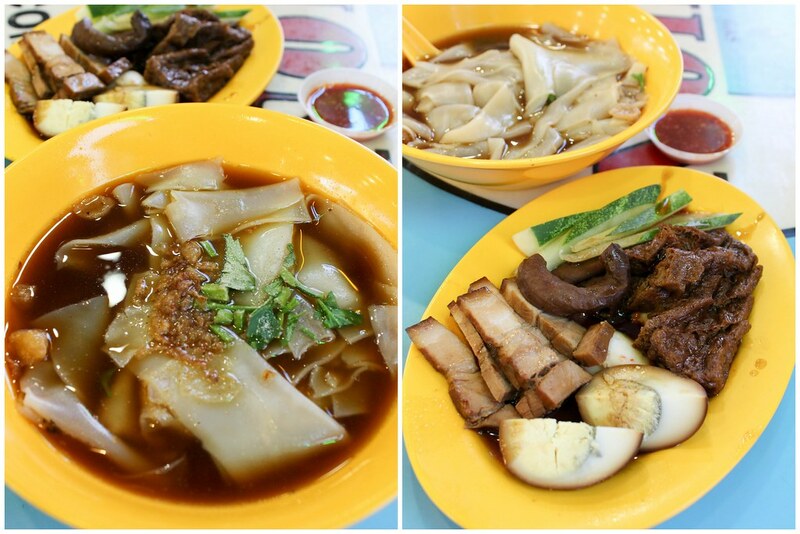 Read about our CHEAP EATS IN WOODLANDS. Opening Hours: 7am to 9pm. Closed on alternate Wednesdays. 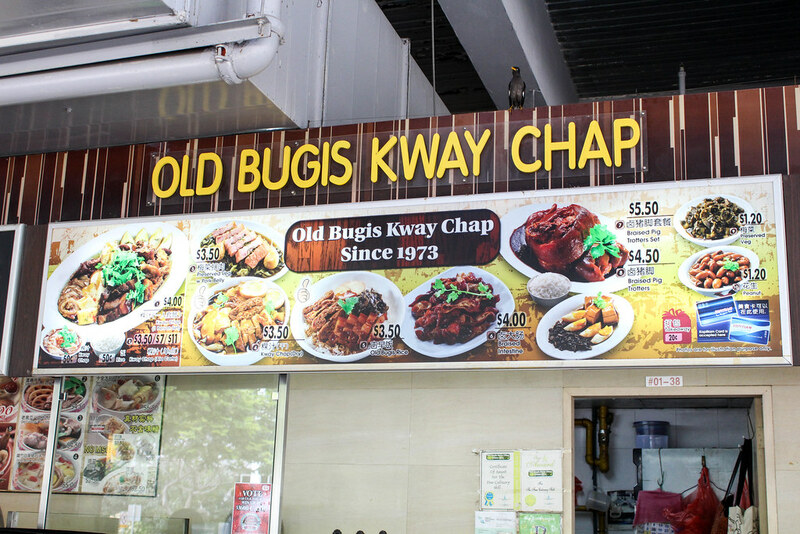 Now we don’t have to travel to Old Airport, the famed Blanco Court Food Centre Kway Chap has now opened another stall at Ci Yuan Hawker Centre. Their second generation son has taken over the stall, using the same recipe as his Dad! 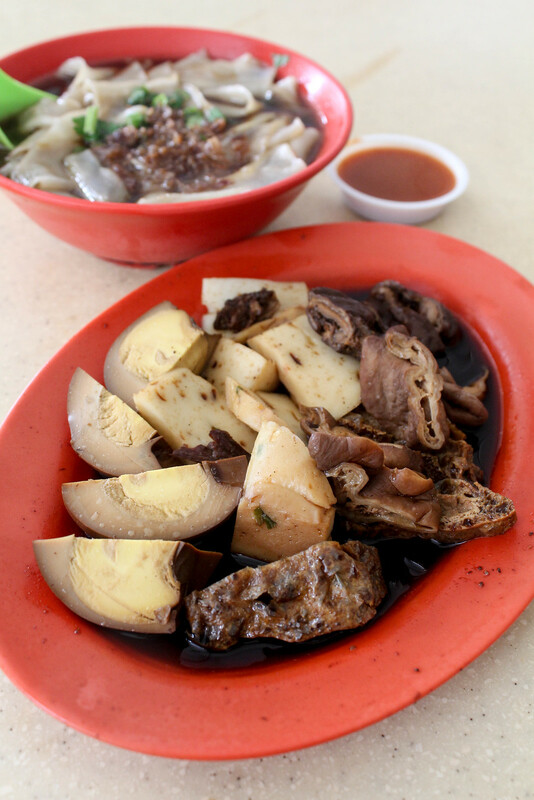 The flavorful braising gravy makes the Kway Chap Platter ($4) very savory. 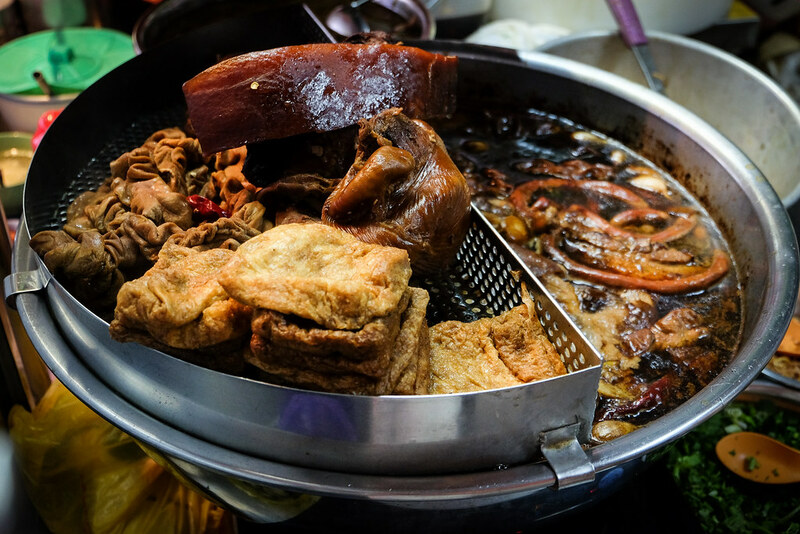 There were also pig’s trotters and other parts like the large intestine and pork belly that you could order separately based on your preference. 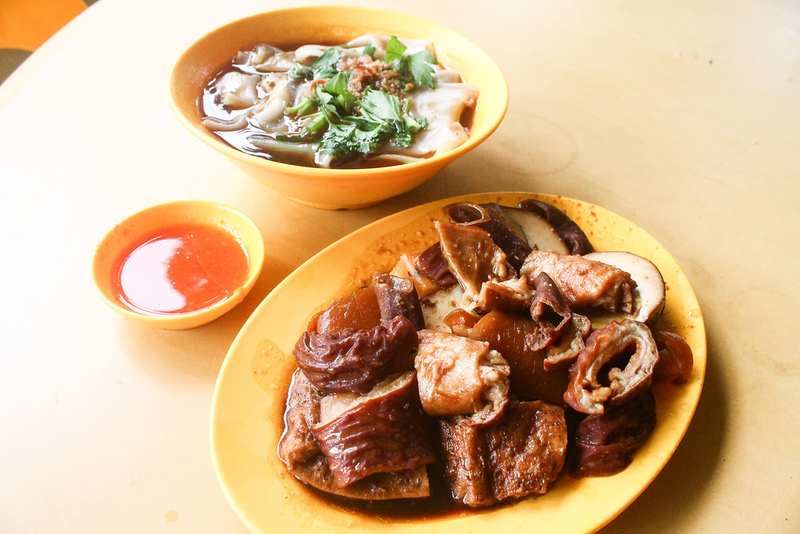 Read about 17 MUST TRY STALLS AT CI YUAN FOOD CENTRE. Opening Hours: Weekdays 12pm to 9.30pm. Weekends 11am to 9.30pm. Closed on Mondays. 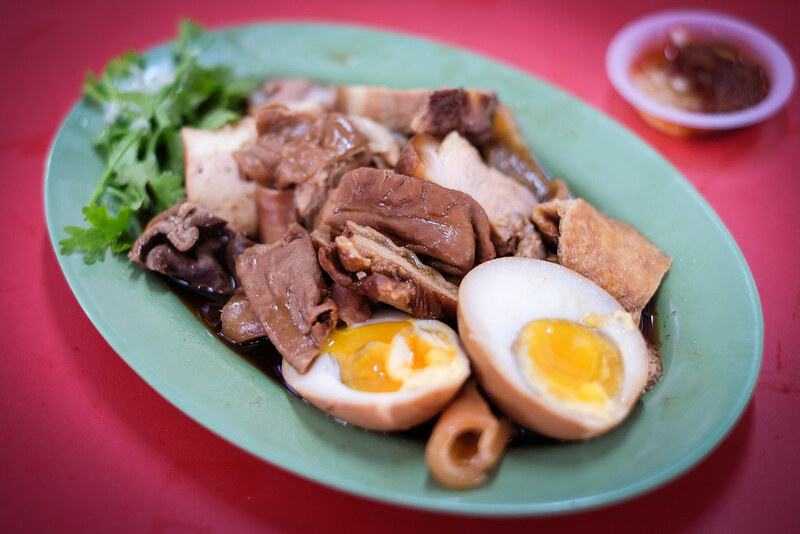 It seems that Huat Kee Kway Chap is popular amongst the Yishun residents – you’ll notice that everyone there is busy slurping down bowls of broad rice sheets and a medley of braised items. They only open in the morning and usually sell out by noon. Tanglin Halt Original Peanut Pancake - Sold Out by 10am?! 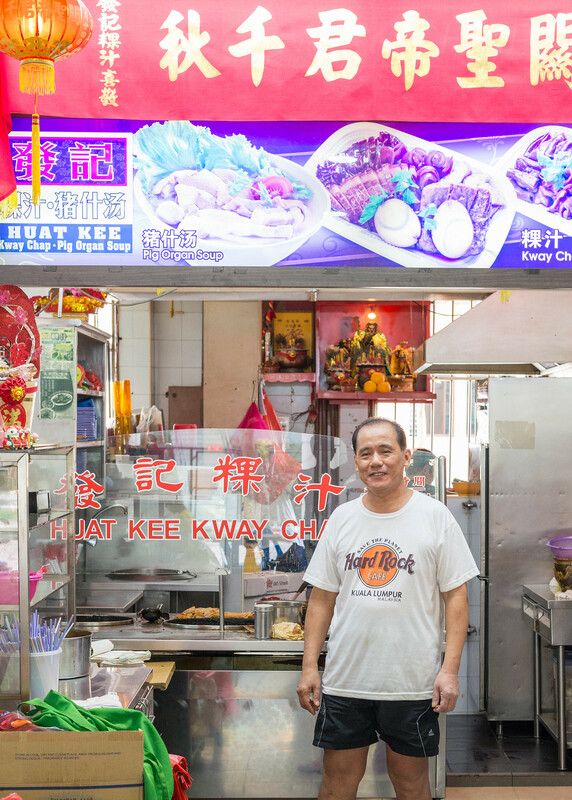 Huat kee kway chap has been operating in the current coffee shop for almost a decade but they’ve actually been in business since 1970! Wow almost half a century now. 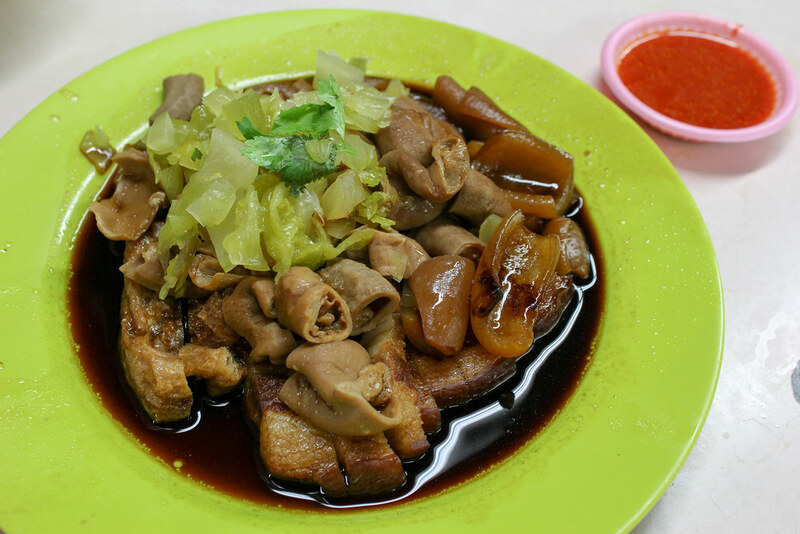 Kway chap is no chicken feet, it takes hours of hard work to clean the intestines thoroughly so that it doesn’t give off a nasty stench. Doused in their housemade gravy, the braised items had the right amount of sweetness and chewiness. The meats were especially tasty and rather tender. I enjoyed the homemade chilli which carried a refreshing sour twist. Opening Hours: 630am to 1pm daily. Closed on Wednesdays. Don’t be mistaken. 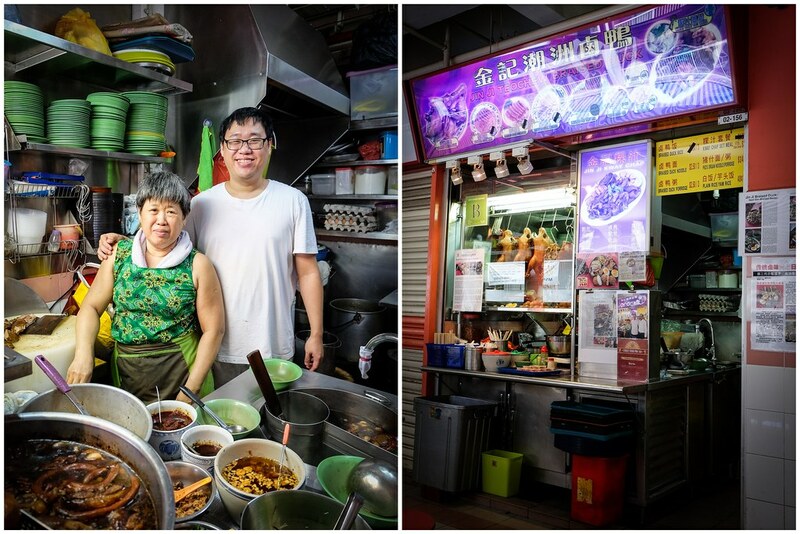 Although they have the same name as the famous Boon Tong Kee Chicken Rice, this stall doesn’t sell chicken rice at all. 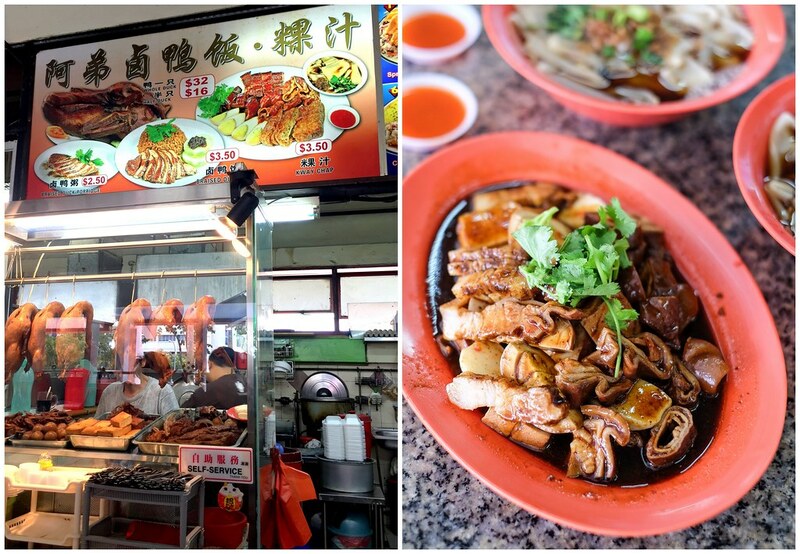 Instead, they were famous for their duck rice and kway chap! 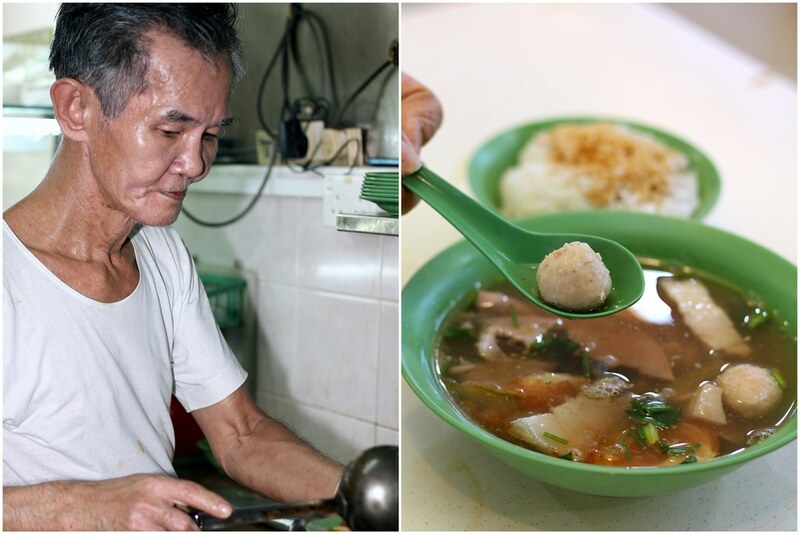 What makes Boon Tong Kee Kway Chap unique was its soup. A lot of hardwork goes into brewing a good bowl of soup. Firstly, the herbs and duck bones were added and simmered for about 2 hours. This serves as a base. Tofu, intestines, meat, eggs, pork belly and other kway chap ingredients were then added into the base. 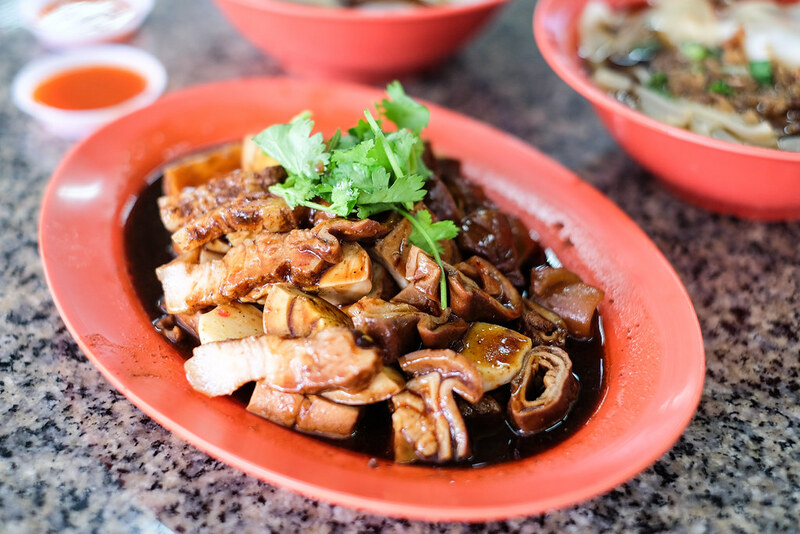 To make the “lor” that was poured onto the ingredients, Boon Tong Kee Kway Chap added the right amount of herbal taste to their sauces. Corn starch was then added to the base to give it a thick and sticky texture. 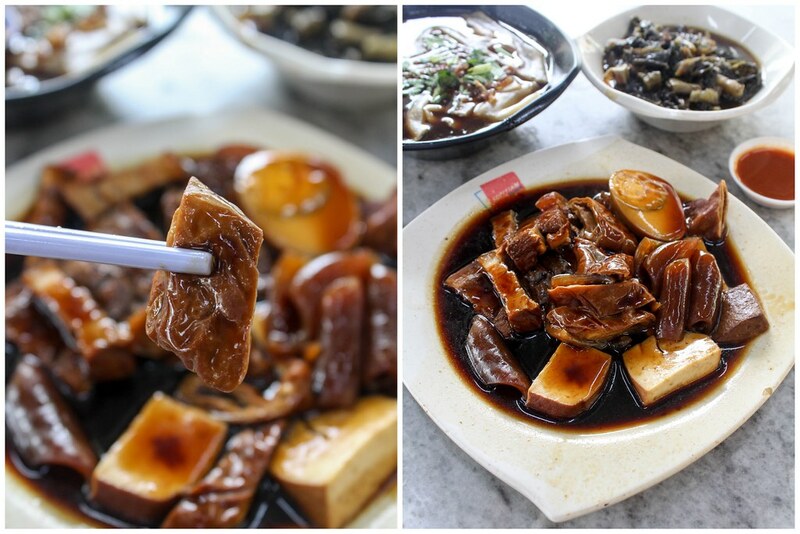 When the thick gravy was poured over the duck meat, beancurd and some other other ingredients, they just glow naturally and it was full of flavour. Read about it here. As with all good kway chap stalls, their innards were well-cleaned and supple. The pig innards were well braised and chewy to the bite. The kway comes hot and slippery, they were smooth and the accompanying broth used was light the herbal taste was not too overpowering. The fresh chilli dip was a good balance of spiciness and tartness, providing lots of zing. Read about it here. 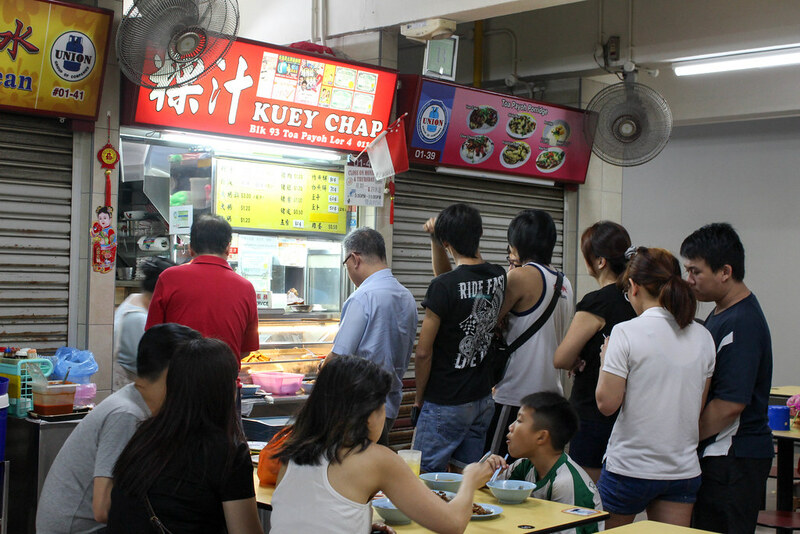 When at Toa Payoh, it is a must to have kway chap. 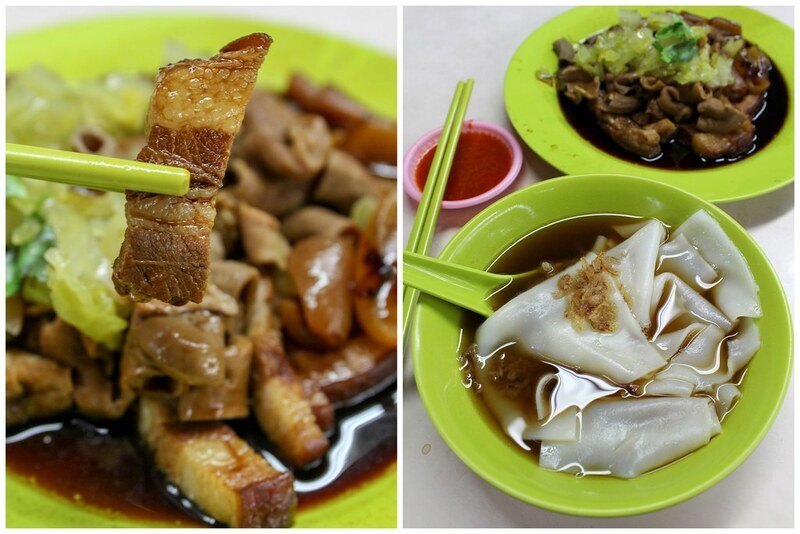 After much recommendation to kway chap at Toa Payoh Lorong 8, I’ve decided to give it a try. 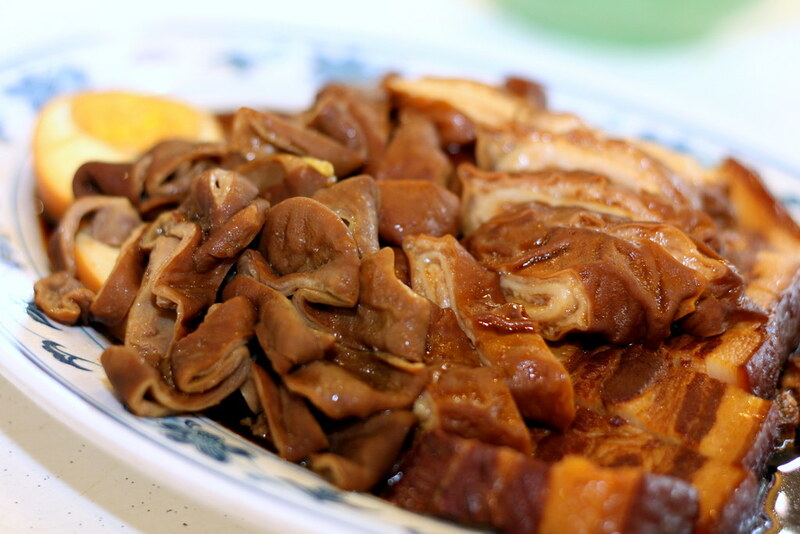 Guan Kee Kway Chap was clean and not oily.The preserved salted vegetables were just right, and we love the pig skin! That silky smooth rice sheets is soaked in a slightly herbal broth, and paired with the offals. Don’t forget to dap the intestines in the bright orange chilli sauce, it’s spicy and sour with a punch of chilli, you just can’t get enough. Be prepared to queue during weekends! Opening Hours: Mon – Wed, Fri – Sat 11am to 8pm. Sun 9am to 8pm. Closed on Thursdays. Another great find in Ang Mo Kio! 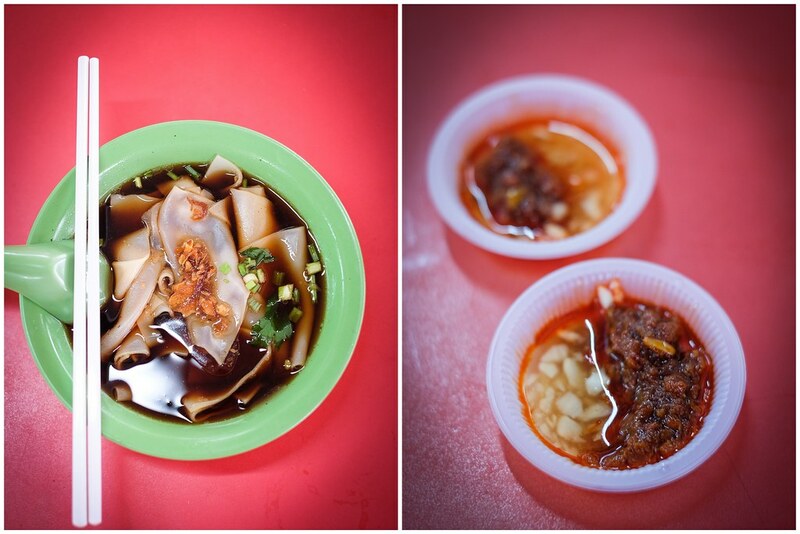 I was introduced to Ying Yi Kway Chap at Cheng San Market last week, so I went to check it out. 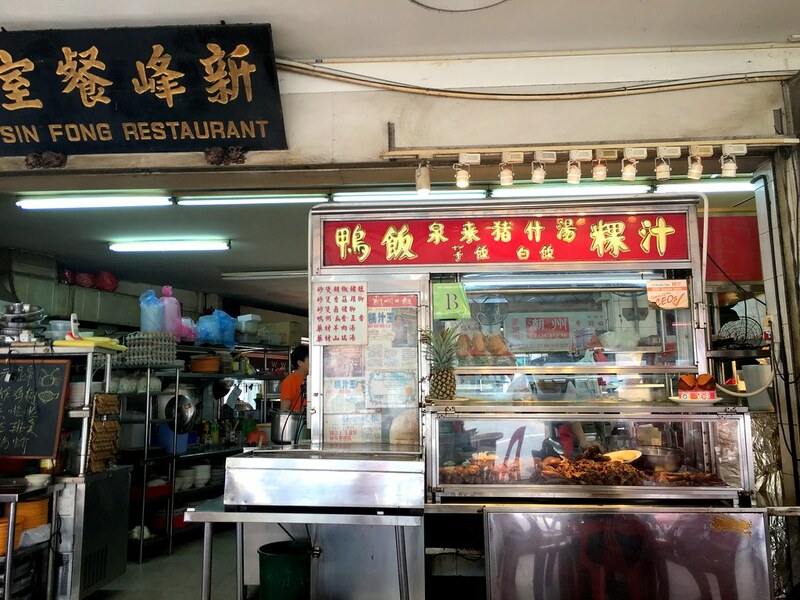 This stall has been around for about 30 years and has been a hot favourite among many diners. The braising sauce consists of star anise, orange peel, garlic, dang gui, galangal and more. It has a rather subtle flavour and not too thick. The intestines have been braised till it was velverty and have good flavours and mouthfeel. The kway was smooth and garlic oil was added. I specially requested for the preserved vegetables which has an amazing crunch to every bite that made this dish addictive. My 1 pax portion costs $3.80. Let’s build a food community that helps to update the food news in Singapore! Simply comment below if there’s any changes or additional info to the stalls listed. We will verify and update from our side. Thanks in advance! Oh No, You must try out my favourite stall at 630 Bedok Reservoir Road. Guang Liang Cooked Food always has long queue even on weekday mornings. Queue during peak hours range from 20 minutes to 1 hour! Can go ahead and try. had bad experience with tong lok kway chap. we ordered one person portion but 2 kway chap. refused to give me another pair of chopsticks and spoon let alone chili. not ever going to patronize this shop anymore.